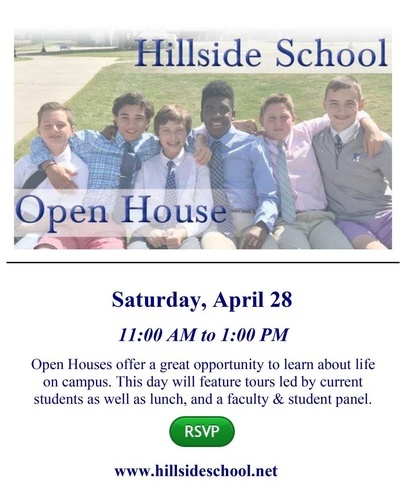 Hillside School prides itself on its close community, and on helping middle school families like yours navigate the process of finding the right school for your son. Please plan to join us for an upcoming Admission Open House! Open Houses run from 11:00 AM until 1:00 PM and include tours by current students, lunch and a student and faculty panel. For registration, please click here, or call (508)-485-3483.